A look inside the aisles of Children’s Club’s August edition. 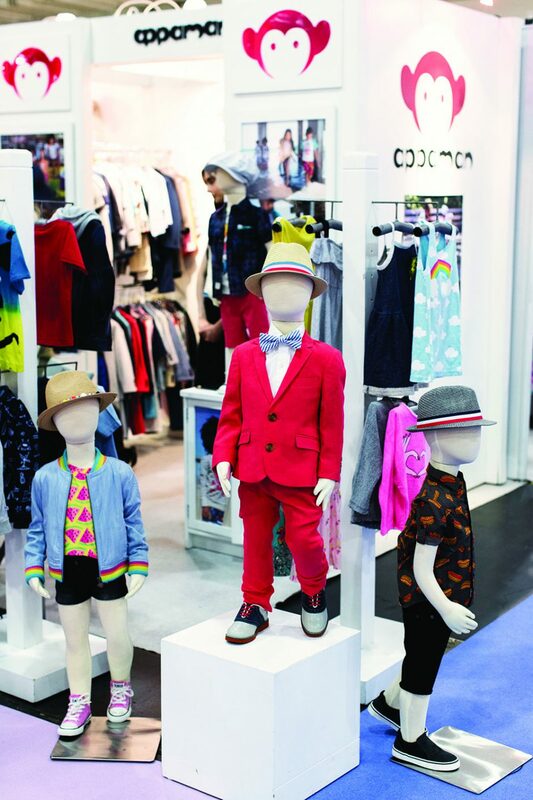 Buyers flocked to New York’s Jacob Javits Center for the August edition of Children’s Club where collections ranged from the sophisticated and subdued to the glamorous and glitter-infused. While several brands cleansed their palette of Gucci maximalism with muted color palettes, lightweight linens, prairie-chic florals and peace-driven messages, others cranked up the volume with chunky glitter, reversible sequins, iridescent treatments and high-contrast patterns. In addition, the “mini me” trend raged on, including direct takedowns from the adult market like straw cross bodies, floppy sun hats, wide-leg trousers and retro remembrances such as cassette tapes, Polaroid cameras, record players and rotary telephones. 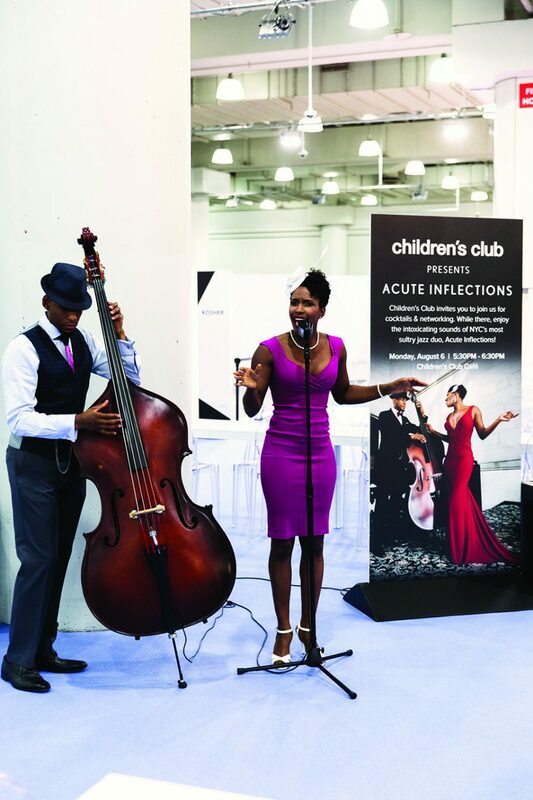 New York jazz duo performs at cocktail party. Bubble tea on the house! 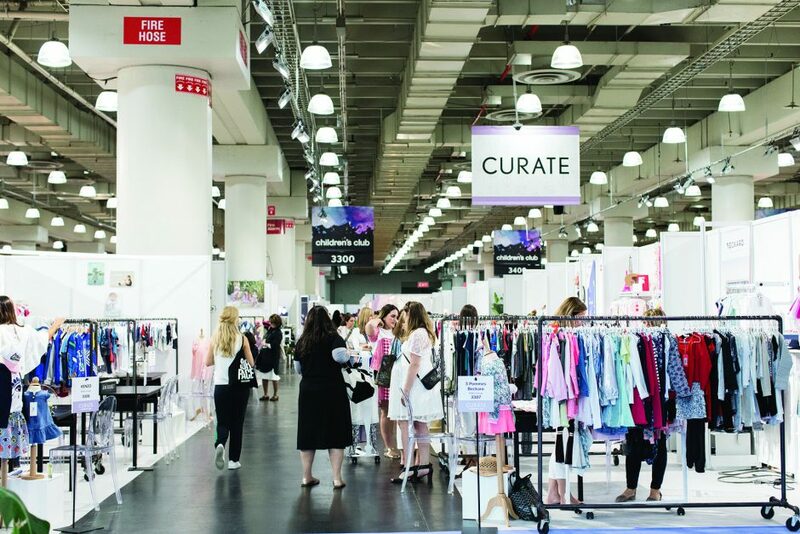 New section Curate debuts to showcase elevated brands. 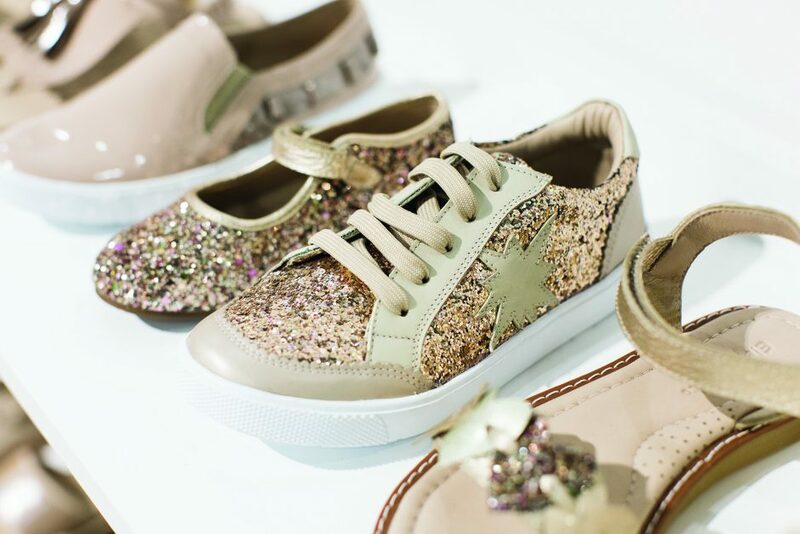 Buyers get their glitter fix from Elephantito. 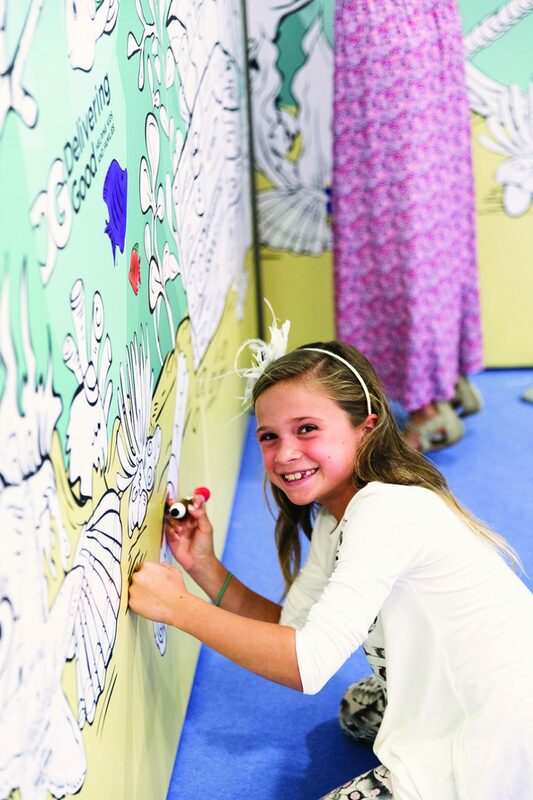 Kids enjoy an oversized coloring book wall. Earnshaw’s curates trend space of 2018 Earnie Award nominees.